Are you tired of being frustrated with your frizzy, frazzled hair? Do you long for smooth, silky locks that stay straight for months on end? The answer to your worries is here. 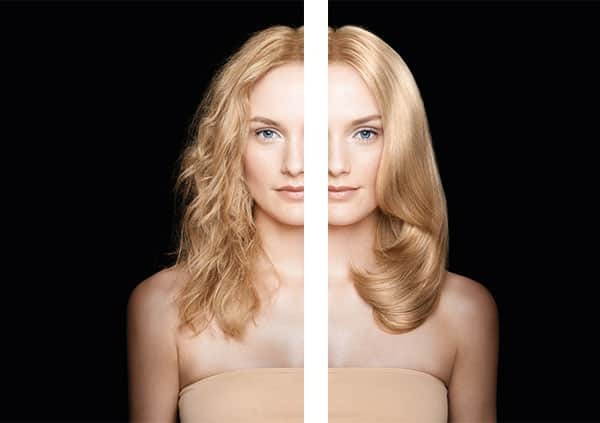 Introducing Goldwell’s Kerasilk Keratin Treatment – The Ultimate Hair Smoothing Treatment! Kerasilk is the first customisable Keratin hair smoothing treatment service makes even the most unruly hair manageable, softening and smoothing it’s texture and cutting drying time by as much as 40%! Which means no more one-size-fits-all look. You can still maintain your hair’s natural texture but without all the frizz and styling time. Plus, Glyoxylic acid is used to temporarily fuse bonds in the hair, so you can feel safer knowing that the treatment is formaldehyde-free. And by using the Kerasilk Rich Keratin Care Products, you can keep your new smooth locks looking fabulous for up to five months! Rich Keratin Care Shampoo – Keratin and silk proteins help transform damaged, unmanageable hair into smooth, soft hair that is easy to comb and style. Ultra Rich Keratin Care Deep Smoothing Mask – High concentrations of keratin and silk proteins replenish the hair and seal the cuticles for long lasting manageability and soft-silk like hair for months after your treatment. 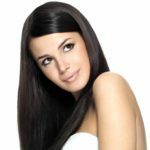 Give us a call today to schedule your Kerasilk Keratin hair smoothing treatment and get on your way to smooth, fabulous hair!